DESIGNER REMODEL. 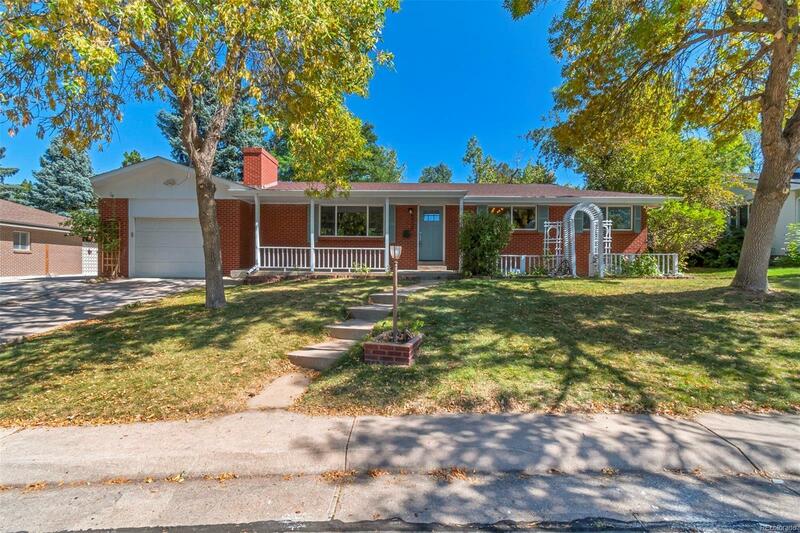 This charming ranch style home nestled in a quiet neighborhood is just minutes away from historic downtown Littleton. The main floor offers a large, open floor plan with beautiful refurbished hardwood floors throughout. The main level entertaining space has a beautifully tiled fireplace as the focal point and flows into the remodeled kitchen with new cabinets, quartz countertops, and SS appliances. The three-season sunroom off the dining area overlooks the large fenced backyard with views of the tranquil water feature. Additionally, there is a shed and a concrete recreational area. There are three bedrooms and two full bathrooms on the main floor with new cabinetry and tile, including a master suite. The family room in the lower level offers great entertaining space. The lower-level also includes a large bonus room with ample storage, a full bath, laundry and a work bench area. The home has all new windows, paint, furnace, and carpet throughout. A must see!